It appears that Sri Lanka’s beleaguered and besieged Muslim community badly needs a Ananthi Sasitharan and not the spineless politicians, wheeler-dealers, businessmen ,media men and others who turned sell outs. This is the inevitable conclusion sensible Muslims are forced to arrive following last Tuesday’s ( 25 February 2014) informal gathering some of them had with Defense Secretary Gotabaya Rajapaksa. It was an opportunity to bring to Mr. Gotabaya Rajapaksa’s notice the issues faced by the Muslims and its devastating impact on communal harmony. However the participants, except two, miserably failed in their duty and betrayed the community by choosing to stay silent. It appears they were keen on pleasing the Defense Secretary, perhaps for their personal benefits, than highlighting Muslim issues. According to reliable information this informal meeting was mooted by Colombo Mayor Muzammil who had selected most of the participants, perhaps to suit his agenda. Invitations were sent out by Senior Minister Mr. A.H.M.Fowzie in his ministry letter head clearly stating that the purpose of the meeting was for “a discussion pertaining to relevant Muslim issues in a relaxed and friendly atmosphere”. The meeting was held at well known and respected businessman philanthropist Refai Hajiar’s house at Bambalapitiya. Though the meeting was to discuss Muslim issues, yet the invitees were told in advance by leading lawyer Faisz Mustapha “not to ask any questions which would embarrass the guest”. In his introductory opening speech Moderator Faisz Mustapha failed to lay the ground work for a discussion that would have brought to the fore some of the serious issues including the inaction of the security forces when dealing with attacks on Mosques, dress code of Muslim women and so forth. The programme was over dressed by Mustapha’s opening to please the Defense Secretary. Nonetheless it was a good opportunity for the Muslims to place the issues across the board, obtain positive responses and close the divide dented by BBS. However the participants were not given the opportunity to ask relevant questions and thus an opportunity to put across the Muslim grievances was missed. Mustapha’s opening speech should have focused in the most dignified language; he is known to be capable of, the concerns of this beleaguered community. He blew away the seriousness of the moment by his remark that, “we lawyers do not appear for free”, leaving a flak in the face of the audience that he too is having his own agenda! He displayed his anxiety by announcing that there would be no oral questions but questions must be written on a 4X2 chit that was handed out and collected back by Mustapha who himself selected the questions to be asked. Participants, mostly from the business community, some of whom may be keen to get close to the powerful man, at the cost of the long suffering Muslim community, were relieved that they don’t need to expose themselves by raising community concerns. There were around 25 or 30 written questions submitted to Faisz Mustapha who selected few of them, perhaps those which do not deal with any serious issues, to ensure his host is not embarrassed. In fact the question time, which followed a long 50 minute surprising speech by the Defense Secretary, turned out to be a disaster of Himalayan proportion reflecting the shallowness of the participants. The speaker would have gone home with the disastrous impression that the Muslims do not have a single serious problem except relating to some educational problems! During question time one spoke about the difficulty in getting children admitted to leading Sinhala schools, insisting that every national school should admit at least 10% from every religion. Good question put without prioritizing other more grave security related questions. Hussein Mohamed spoke about his father former minister M.H.Mohamed’s Islamic Centre promoting national unity. 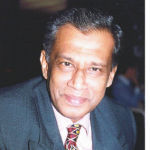 This was followed by the chairman of Muslim Media Forum and Muslim Council of Sri Lanka N.M. Ameen who, according to website Colombo Telegraph” stated that “ Muslim can live in peace under the able leadership of President Mahinda Rajapaksa, asked “why not open a Muslim school in Dehiwala”. However Ameen later told me that participants were not given the opportunity to raise any question pertaining to the community’s burning issues. 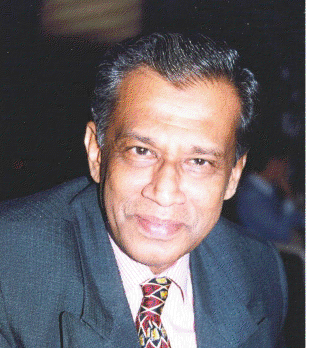 Lawyer Iqbal Mohamed came up with issues of relevance. He asked about the attacks on Mosques, Muslim female attire and the Halal removal. Gotabaya Rajapaksa replied the third issue and said “well I thought nobody had talked against Halal during the last three months” and looked at Mayor Muzammil who was seen nodding his head in approval. During this tragic comedy lawyer double M. Zuhair raised the pertinent issue of the reported closure of Kadawatte Road Mosque in Dehiwala. He said only that very evening an ASP from Mt. Lavinia Police with an IP from Kohuwala Police had gone to this Mosque and told them that a case had been filed in Magistrate’s Court on orders of the Buddhasasana Ministry to close this Mosque. This Mosque, he told the gathering is a Mosque approved by the Wakf Board, the only legal body authorized to register Mosques under the law. The Defense Secretary Rajapaksa responded promptly, spoke to a top police official and told him no approved Mosque should be closed and given his phone to Zuhair to speak and follow up with the Sr. DIG the next day. The very next evening an SP had gone to the Mosque and informed them not to close the Mosque but continue prayers. However none raised issues such as resettlement of ethnic cleansed Muslims from north, plight of Muslim tsunami victims suffering to date without housing facilities, refusal to hand over 500 houses built for Muslim tsunami victims by the Saudi government, land and other problems of Muslims in the east and even north, the recent developments of organized vicious hate campaign against Muslims which included attacks on mosques, business establishments, campaign against animal slaughter, ban of halal food sales, Muslim women’s dress code and many such acts of hooliganism besides discrimination in employment in the government ,semi government and even armed forces including police. None of this was raised by the participants. The question is unless these issues were brought to the notice how the government would know the mood among Muslims who have lost all their confidence in their politicians. However the Muslim community as a whole appreciate when Mr. Gotabaya Rajapaksa highlighted, in his speech, the sufferings the Muslims in the east which they underwent during the three decades of LTTE war because Muslims did not support the LTTE, the role played by Muslims in the intelligence services during which many, including Col Lafir, sacrificed their lives for the country. He also pointed out how many Christians were holding top positions in the armed forces irrespective of their religions and that the head of the Intelligence Division in the Defense Ministry is a Muslim. Many in the community who heard about the meeting appreciated Mr. Rajapaksa’s decision to open up a discussion with the Muslim community but severely criticized in one voice for not allowing to highlight Muslim issues in the larger interest of the country. Defense Secretary provided an opportunity to highlight Muslim grievances in a free and friendly atmosphere. However Muslim participants miserably failed in their responsibility. Whose fault is this? Who is to blame? Is it because some vested interests wanting to get close to Defense Secretary invited number of businessmen? Only very few professionals! Respected Muslims such as Refai Hadjiar and Agha Barrie, who were seated next to Gotabaya Rajapaksa, should have ensured a fair representation. This is the reason why I say that a person like Ananthi Sasitharan needs to be admired. I am not defending or speaking about the rights and wrongs of Ananthi’s politics or political ideology, but her fearlessness in expressing her views. Here I am talking only about her sincerity and dedication to what she believes is her cause. Her sufferings are known to everyone. She remains under threat. Her husband’s fate is not known. She has children to look after. Yet she travelled all the way from Jaffna to Colombo from where she travelled to Geneva where she highlighted what she considers as Tamil issues and returned home within days. On the other hand a section of Muslims were given an opportunity to highlight their problems by Gotabhaya Rajapaksa himself in person, but failed to make use of it. This is the pathetic plight of the island’s helpless and voiceless Muslim community. Under the circumstances the mood among the Muslims in the island is one of deep frustration. A Century To Mrs B, The Woman Who Took Sri Lanka To The World!